VIP Membership is NOW $5/month!! Take the BU balance test! Welcome to our newest licensee members! Welcome Fyzical Therapy & Balance Center! Fyzical Therapy & Balance Center of Rockville, MD members... We are happy to have you! Instead of a "tip" this week, I thought I would treat you to a lecture that I taught at Florida Blue. This is Balance University at Florida Blue (Estero). Check out a week in the Bachelors Phase (Week 3) and how easy it is to improve your balance following the BU program! "Like" us on Facebook and get the latest updates! Order your copy of Balance University TODAY! 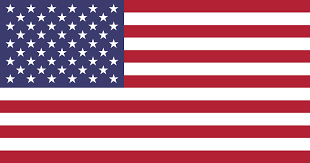 *All production and manufacturing of this book is done in the USA. Balance University has been approved and is presented in Florida Blue locations in Florida. Emeritus Health is a proud partner with the National Institutes of Health. We have utilized Balance University to become an active partner in the Go4Life initiative, which advocates for healthy and active seniors! We are now on amazon! - Access to our video library! The library contains a video, including a detailed, written description of every exercise in Balance University. - Access to support via email. You can never have too much help! Suscribe to the VIP Members area!! How to avoid the nursing home! Maybe you're not old enough yet where a nursing home is a potential destination, but I can assure you, you will be one day. Or maybe you have a loved one who's a possible candidate due to their advanced age. The number one reason for being admitted to a nursing home is a fall. We also know people live longer when they're allowed to stay in their own home. And the truth is they want to stay in their own home with a level of independence. There are ways to ensure you won't need to make a nursing home your's or their final destination. READY TO SIGN UP FOR THE 10-WEEK COURSE?! *Book will be available to purchase at the studio. I love to teach, especially when the material can have such a positive impact on someone's life. This is what Balance University can do! 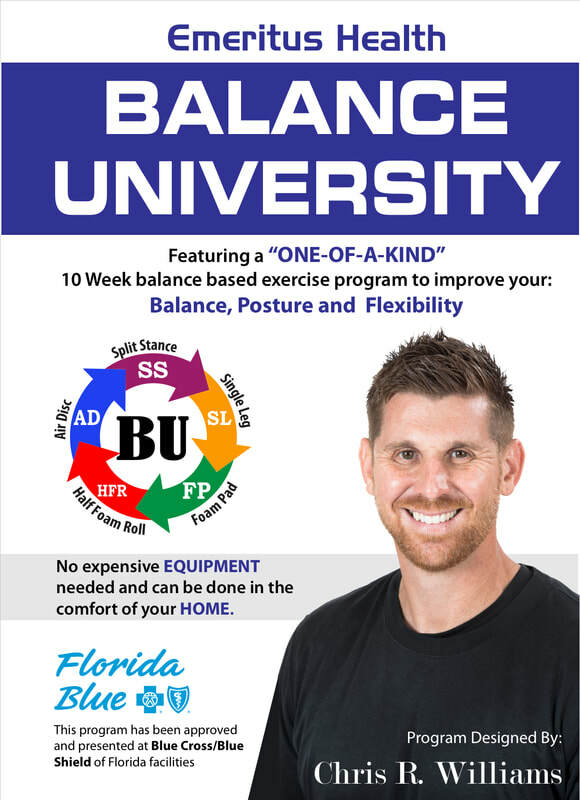 ​​Balance University classes are taught through Florida Gulf Coast University and the Renaissance Academy!! There are now more Americans age 65 and older than at any other time in U.S.
Mrs. Carol Dalzell and Chris R. Williams during a session. Emeritus Health is a company that employs the most educated and talented personal trainers in the industry today. After working with the "Aging" population for over 2 years, I have developed a program that has a starting point for everyone with any limitation and there are progressive steps and goals we strive for every workout. Emeritus Health focus's on clients who have mobility challenges and are unable to be active for long periods of time. Let us develop and administer a program using weight bearing (body weight) exercises to improve your balance, stability, muscluar strength and endurance. Physicians have found the benefit of using Emeritus Health for their patients including post operative patients who have completed physical therapy but still need to improve and continued muscle activation and flexibility training on a long term basis. We save you the trouble of getting out and going to a gym or physical therapy location by coming into your home to provide our services.